Founded by the alumni from GrubStreet Boston’s Novel Incubator program, Dead Darlings is devoted to celebrating the novel, from the process of creation through revision, promotion, and publication. 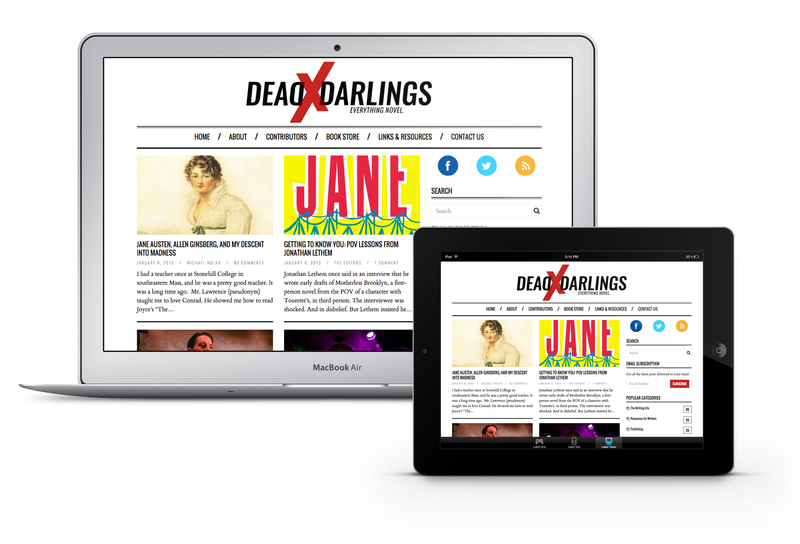 Serving primarily as an article platform for ‘all things novel’ including writer resources and a widespread support network for novelists, the folks at Dead Darlings wanted to give their brand a bit of a facelift, general increased website functionality, and some (supah awesome) bells and whistles (obvs.). The team at Niemożliwe was thrilled to lend our unbelievably talented buds a hand with the project, but most of all, we’re just psyched to say we’re officially an accessory to Darling-murder.